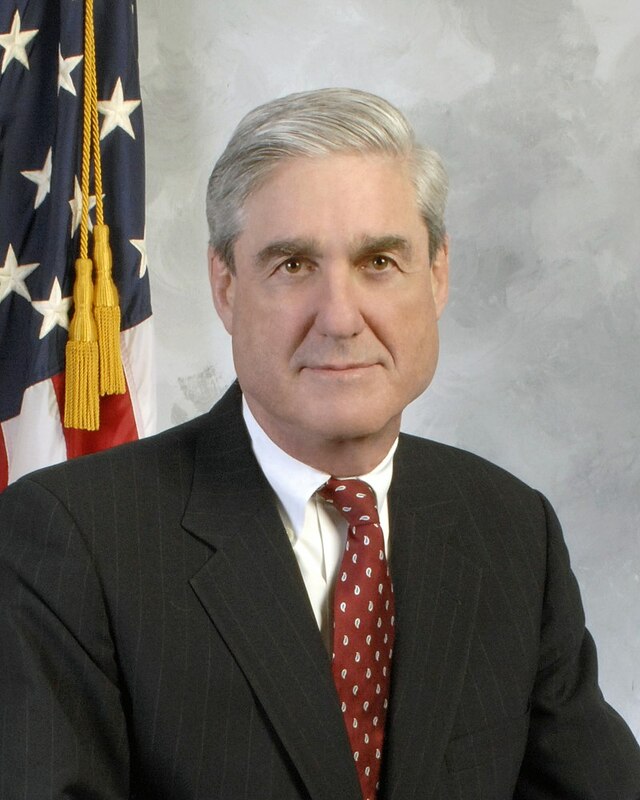 The Mueller investigation is all about removing Trump from office, which has been cheered by CNN, New York Times, and The Washington Post among many others. They are intent on overturning the results of a Democratic election to ensure this is no longer a government of the people for the people. They see this as intolerable and those who voted for Trump are too stupid to vote anyway. I have actually heard that argument. So we all know what the objective here really is – Mueller is to overthrow the presidency. Yet, history may one day write that this is the very man who created the Second American Civil War. Mueller is hell-bent on charging Trump to get him out of office. The bureaucracy then will take back the government and suppresses the people, grinding us into the dirt. What they overlook is that the resentment from both sides is turning into sheer unbridled hatred and this is the foundation needed for a Civil War. This is by no means the first time a president was elected this century and many said he didn’t really win. Of course, the election of Abraham Lincoln led to the secession of several states who also rejected the election because they lost. The South rose up against the North and the Civil War began. The Supreme Court gave George Bush the election and that began to stir the discontent among the people. The Presidential election of 1824 was really the start of the Civil War. This followed the Missouri Compromise which was legislation passed on May 9th, 1820, and provided for the admission of Maine as a free state along with Missouri as a slave state. This maintained the balance of power between North and South in the United States Senate. It was showing that the tension was rising when the presidential election followed four years later. John Quincy Adams won the election and served as president from March 4, 1825 — March 4, 1829, but he actually lost in electoral votes and in popular votes to Andrew Jackson. The 12th Amendment specified if no candidate for president has a majority of the total votes in the Electoral College, then the House of Representatives, voting by states and with the quorum was to consist of a member or members from two-thirds of the states, and a majority of all the states shall be necessary to a choice. The 12th Amendment requires the House to choose from the three highest receivers of electoral votes, compared to five under the original procedure. Henry Clay was thus eliminated and he threw his support to Adams. In the contingent election decided in Congress, Clay’s backing gave the Presidency to Adams on the first ballot. Jackson accused Clay and Adams of having agreed to a “corrupt bargain” in which Clay supported Adams in return for his appointment to the most prestigious Cabinet position. This was the event that split the Democratic-Republican Party into the National Republican Party and Jackson forming the Democratic Party. The hatred that is brewing is really out of control. 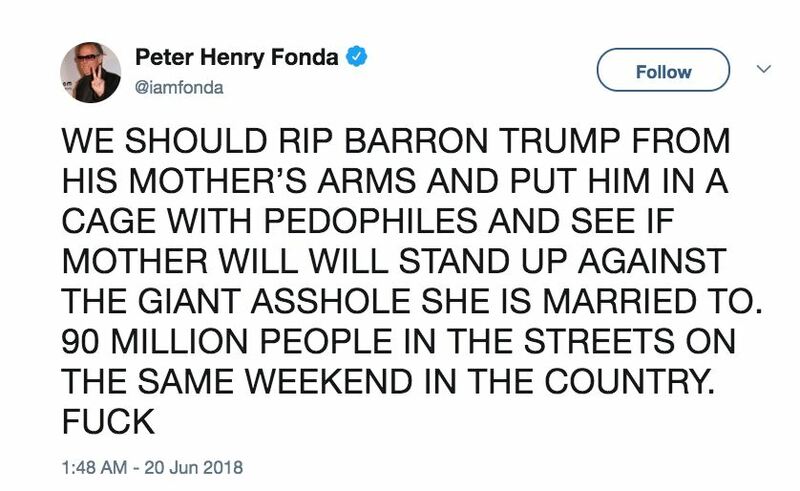 We have the actor Peter Fonda calling to kidnap Trump’s son and put him in a cage. To advocate kidnapping, anyone in the president’s family is just insane. This is showing there is no longer any civility left. The Hollywood industry is simply out of control. 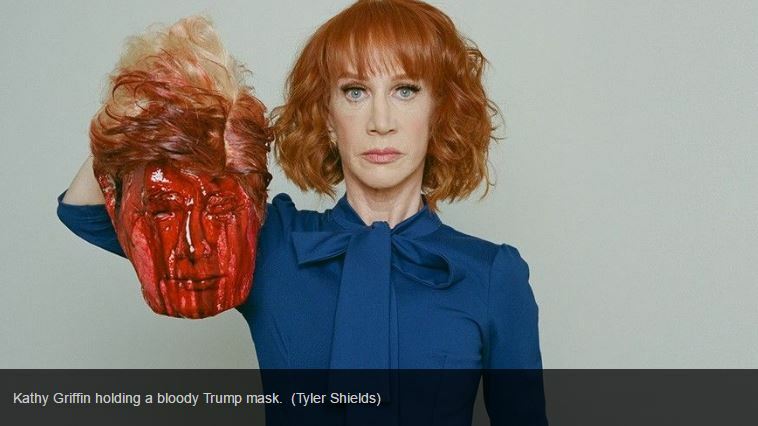 Kathy Griffin thought it was funny to show a bloody severed head of the president on TV. There is ZERO respect for the office of the presidency. I was not a fan of Obama, but you do not cross the line and propose violence against him and then in another breath protest gun violence and call for all guns to be banned. The left is historically always the violent side. The right argues to be left alone. The left cannot sleep at night because they worry the right is not submitting to their control. The revolutions in Russia and China came from the left. The French Revolution was also a leftist movement and that is where they began with the “Commune” project. It was the French who convinced Marx about Communism. In 1848, territory won from Mexico was to become a state. 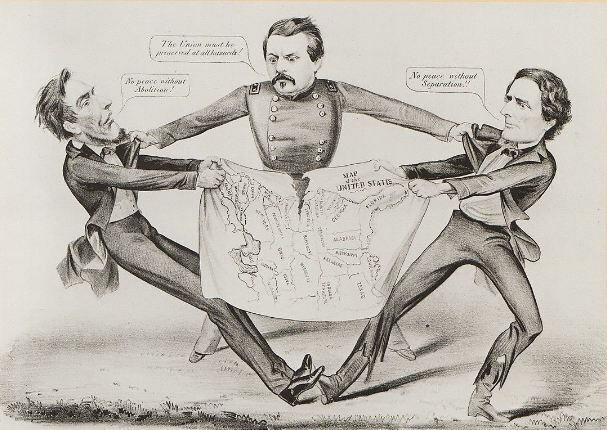 This upset the balance of power and it illustrated that tensions were rising between the North and South. The True Issue or “That’s What’s the Matter” is a Currier & Ives print showing General George McCellan preaching a peaceful end to the Civil War standing between Lincoln and Jeff Davis trying to support the union. An American Civil War certainly becomes possible between 2024 and 2026 if tensions continue to rise. Interestingly enough our volatility models on the prospect of a civil war bottomed in 2008.